Minimise the need for repairs with our popular, Rayvac Airtemp Ltd comprehensive air conditioning maintenance contracts. These are the ideal solution if you want total assurance that your units aren’t about to break down just as the weather starts to heat up. OUR DEDICATED SUPPORT TEAM ARE ON HAND TO ANSWER YOUR CALLS BETWEEN 8.30AM – 5PM MONDAY TO FRIDAY. Remember, units that are running inefficiently cost money and cause headaches. Eliminate the stress of faulty air con units with the complete assurance that only an air conditioner maintenance contract can bring. Servicing a single unit, twice a year, can cost as little as £107 (plus VAT). What types of unit can you maintain? As a fully qualified air con maintenance company, we can maintain any air conditioning equipment, water chillers, split units, VRV/VRF systems and refrigeration equipment. 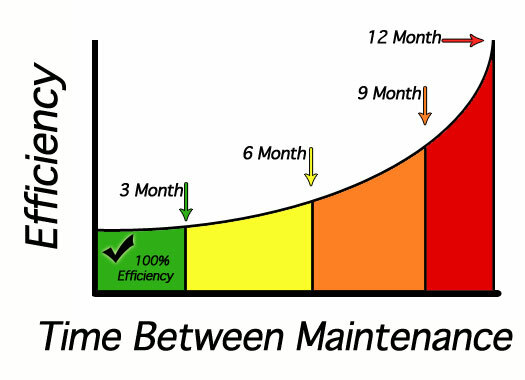 What are the key benefits to a maintenance contract? We truly value each and every one of our customers. We are happy to offer loyalty discounts to long-term customers. There are also discounts available for other types of businesses too. What type of premises can you maintain A/C in?